A very old variety dating to 1816 or earlier. 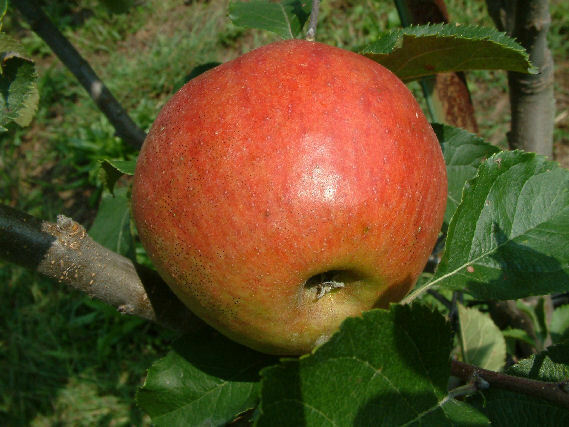 Apple is medium sized and somewhat oblong in shape. Skin is yellow striped with red. 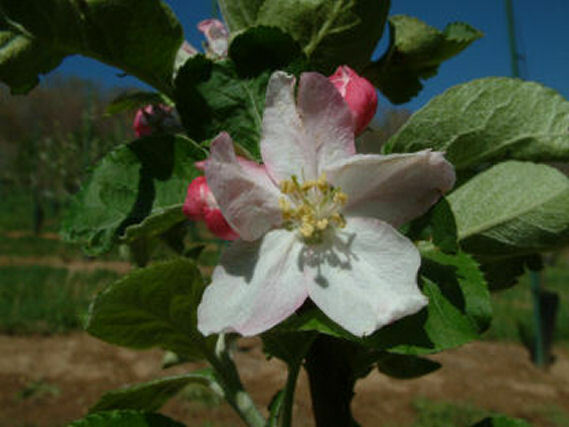 This is an early blooming variety and matures late July to August.